Big box. Big batteries. Big lies about performance. Hearing about the release of another high-powered, dual-battery mod is about as newsworthy as learning our President is active on Twitter. Sure, some have better screens. Others have cooler aesthetics. But at the end of the day, they’re all starting to look alike, with fewer key differentiators to justify a purchase. At least, these were the kinds of thoughts that were running through my head during my review period with the iJoy Captain PD270. At first glance, the iJOY Captain PD270 is the venerable company’s entry into the ever-crowding field of palm-friendly, dual-battery devices. But that doesn’t mean it’s aimed at the Alien/Predator/213 crowd; at 89.5mm tall, 47.8mm wide and 32.2mm deep, the Captain is significantly bigger than those popular devices, capable of handling 30mm atomizers with nary a sliver of overhang. In fact, the Captain isn’t even that far off iJOY’s own RDTA (Review) Box in terms of sheer magnitude. Yet none of it feels monstrous or overdone. Instead, it is both sleek and solid, and appears to be a much more expensive device than its $65.95 (ELEMENT VAPE) price tag suggests. The iJoy Captain PD270 also looks the part. My test unit featured a polished metal frame with faux carbon fiber grips that do a good job giving it a high-end feel, even if the “carbon” is nothing more than a textured sticker. IJOY has no fewer than 54 (!) different replacement stickers available on their site to add to the Captain. The test device also featured a multicolor chrome effect, like what many companies are using these days. Some enjoy the changing rainbow scheme, but to me, it’s like looking at the colors from a fresh oil stain on your garage floor. In fact, I’d go so far as to say it takes away from the otherwise mature, distinct design choices employed here. Perhaps a black mod is more my style. The large OLED screen is bright, legible and crams about as much information into its space without ever becoming overwhelming. iJoy could have left a few items out to let things breathe a little, but there’s no point in splitting hairs – the screen is a high point on an impressive-looking mod. In turn, the iJoy Captain PD270’s deep, spring-loaded (albeit tightly) 510 connection accurately read and fired every atomizer I threw at it, which is more than I can say about most mods in my collection. Better yet, all my tanks and RDAs sat perfectly flush, with zero gaps to be found. Most notable in the design is the monstrous metal fire button, which gives users an ideal balance of sensitivity and clickiness. Its recessed placement helps stave off pocket firing, but the button is easy to engage with little pressure, and I have yet to experience one misfire under normal use, regardless of how I hold the mod. 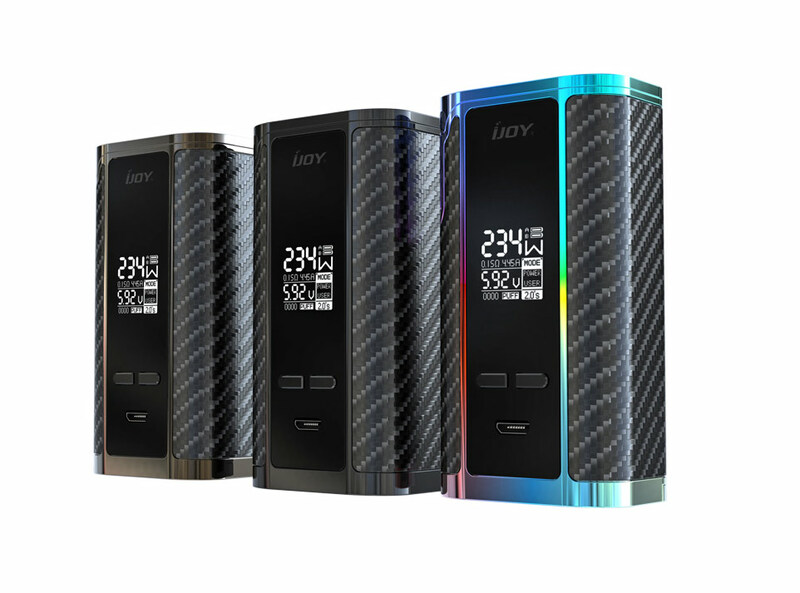 Like all iJOY’s newer products, the iJoy Captain PD270 is built around their vaunted IWEPAL chipset, which offers a deep selection of options for all areas of your mod’s functionality. It’s a breeze to monitor and adjust TC, TCR, wattage, resistance, amps, puff counters and more. But the IWEPAL is about more than accessibility. In my collection of mods, the best battery performance – by far – belongs to three recent iJOY products. Regardless of battery type, these products practically sip power when compared to similarly built devices, often giving me several hours of additional performance when other mods might show signs of tapping out. 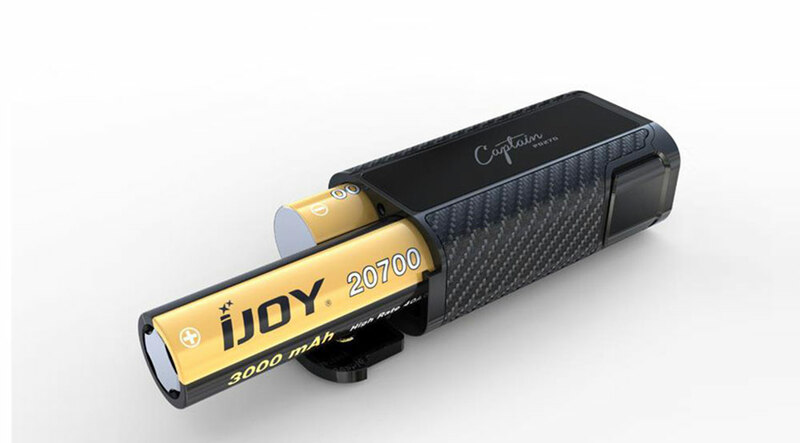 The Captain takes this dedication to battery efficiency one step further by utilizing longer and thicker 20700 batteries, which iJOY believes to be the future of vape power. They believe so strongly in this format that they’ve generously included a pair of branded, high-drain 3000 mAh/40amp cells right in the box (alongside an 18650 adapter sleeve for those who fear change). Not a bad package for a $65 device, eh? Nope – it’s a damn good value. Except that iJOY might be putting too much stock in this format, as I experienced no battery life benefit from using the included 20700s vs. using my trusty 18650s. And in one side-by-side comparison, I actually noticed better longevity using a year-old pair of LG HG2s in the sleeve adapter. 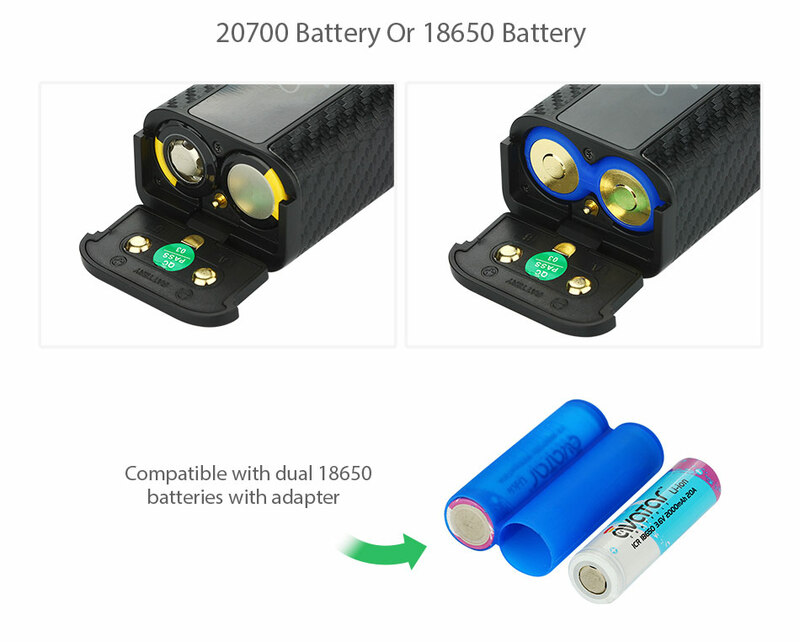 Is the iJoy Captain PD270′s battery life good? Absolutely. But if iJOY is going to encourage users to commit to a new style of battery, those things had better perform notably better than what vapers currently own. And the iJOY 20700s simply didn’t. Kudos to iJOY for trying something new, but this was a big miss for what the company is pushing as a key selling point. Plus, by introducing a new size of battery, the device had to be built larger and wider, when it maybe didn’t need to be. The size isn’t exactly overwhelming, but it’s not the pocket-friendly companion to which most vapers have become accustomed. Nearly 1,400 words and no mention of performance? Okay, okay, I get it. The short answer is that – in most circumstances — the iJOY Captain PD270 performs well. It fires responsively, reads accurately, and offers an enjoyable vape. I first put the device through its paces with iJOY’s companion Captain sub-ohm tank, which we’ll be covering in a separate review. Using the tank’s installed 0.3ohm CA2 coil, the Captain offered a smooth, steady vape, with nearly no ramp up required. Taking the coil to its recommended limit of 80 watts, the Captain mod stayed cool to the touch, with no noticeable spikes or dips in power. I then swapped out the coil for the included 0.15ohm CA8 coil, and ramped up the power to 100 watts. Again, a consistent, flavorful vape ensued, with only the slightest warming around the top of the device. So far, so good. But with an advertised 234w capability, there was no way I was stopping at 100. No, these amps go to 11, friends. I swapped out the tank for my 25mm Goon RDA, with a 0.08 clapton build at the ready, put in the freshly charged 20700s, juiced the coil and cranked it to a conservative 150w. It produced a cloud of vapor that might still be lingering over southeastern Massachusetts. But the device seemed to wobble a little at this temperature, with uncomfortable warmth radiating from the top of the device. This is to be expected, but it was also clear that the Captain’s capabilities might have been approaching its limits. Turns out, I was right. Rejuicing the coil, I pushed the device to 234w and fired. For less than a second, I enjoyed a huge blast of heat and flavor. Then just heat. Then nothing. The device immediately threw up a skull and crossbones, indicating a shorted atomizer. Then I fired again and was told there WAS no atomizer. I checked the coils, making sure they hadn’t dipped below the device’s limit of 0.05ohm, and fired a third time. But the screen went temporarily blank, before repeating the no atomizer message. At this point, the device was hot to the touch throughout, so I powered it down, removed the batteries, and let it gather itself before one last attempt. Thankfully, the Captain turned right back on and performed perfectly well at more reasonable wattages. 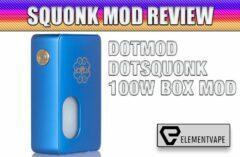 It’s just disappointing that even a mod this well-specced joins a growing list of overestimated, underperforming devices, rather than delivering on the company’s promises. At the end of the day, I can recommend the iJOY Captain PD270 to anyone who likes the form factor, look and feel of iJOY’s products. 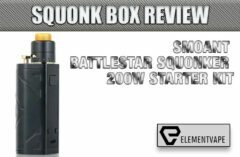 It’s a solid box that (mostly) delivers a smooth, steady vape with virtually any atomizer. But, for those who expect max-wattage vaping with only two cells, the hunt continues. Maybe most people don’t ever push their mods that high. And for more moderate vapers, this is more than enough power. But the Captain was clearly struggling under the weight of these demands, and in reality, should have never been pushed past 150 watts. More importantly, I just feel a product should work as intended, and it should be marketed responsibly. Maybe customers have come to expect inflated performance numbers from mod manufacturers, but 80 watts is a huge gap between expectation and reality. In this sense, the Captain missed the mark in a very big, potentially dangerous way.